Wuhan: China will cooperate with Belarus to actively use the advantages of the Belt and Road concept, Deputy Head of the Foreign Affairs Office of Hubei Province Lianghua Zhang said as he spoke at the international seminar Belt and Road. Getting to Know Hubei in Wuhan, China, BelTA has learned. Lianghua Zhang stressed that it is imperative for China to develop partnership with Belarus as an important participant in the implementation of the concept. Deputy Head of the Hubei Provincial Development and Reform Commission Haiyang Du said that Hubei, which lies in the center of China, plays one of the key roles in the new Silk Road project. According to him, the interaction of this region with Belarus in general and Brest Oblast in particular will bring concrete economic results. Head of the Belarusian delegation, Brest Oblast Vice Governor Andrei Klets, stated that the seminar would make a significant contribution to the development of Belarusian-Chinese cooperation. He praised as constructive the dialogue between Belarusian representatives and Chinese businessmen of Hubei Province, in particular, the cities of Wuhan and Yichang. 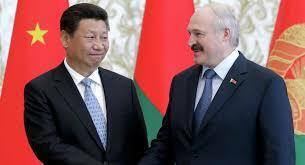 Chinese companies have expressed interest in further development of contacts with Belarusian partners and establishment of new ties. Andrei Klets expressed confidence that the seminar would bring about new economic and investment projects important for both sides. The international seminar Belt and Road. Getting to Know Hubei was held with the participation of the Belarusian delegation, which held a presentation of the economic and investment potential of Belarus, including its Brest Oblast. China was represented at the seminar by about 100 companies from different fields of activity.